Idle games have truly revolutionized the way we spend our free time. If you are stuck in a boring class or a long commute, it helps to have a casual game to keep you occupied. Ball Smasher is one of the best when it comes to burning time. 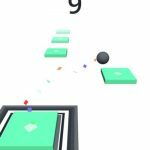 Available for iOS devices, HippoTap’s new game is all about breaking down a bunch of balls in order to earn some cash. Since Ball Smasher is an idle game, you have machines to do the ball-breaking for you. That means you can easily play the game even with just one hand. Your job is to ensure those machines are properly maintained and regularly upgraded in order to maximize their smashing power. How much money can you earn during your break? 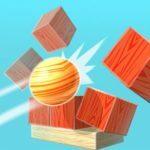 Make sure you rely on our Ball Smasher cheats, tips and tricks to help you build your ball crushing empire! Despite the game’s name, you are not really limited to just smashing balls. You can mix things up by choosing different shapes to play around with. Don’t worry because all the options will cost you the same amount of money. You can just choose your favorite one without having to unlock the others. If you want to change your theme, just tap on the red button at the top of the factory. Go to the Balls menu and try out the different looks. There are different colored balls, fruits, boxes, and emoji. Feel free to choose what you want because they have no impact on the gameplay. When you go to the Boosts area in Ball Smasher, you will have the option to watch a video advertisement. Doing so will allow you to earn double the cash for four hours. After activating that boost, head over to the left side of the menu to watch another ad. This time around, you will receive a 4-hour time warp. That means you will instantly gain the doubled earnings that you activated from the first boost. You can also purchase other bonuses in this menu, including a permanent cash boost. Keep in mind, however, that this will cost you Gold, the game’s premium currency. After unlocking your first ball, you will be able to upgrade its value. The more upgrades you purchase, the higher the value of the ball will be. You might think that the value is hardly increasing, but once you reach higher levels of upgrades, you will see the value rise exponentially. Upgrade the balls as much as you can. If you are diligent, the value of the balls will eventually overtake the value of your factory upgrades. Unlike most idle games where you just randomly buy whatever upgrade is available, you will need to take a good look at your factory in Ball Smasher. There is no best upgrade for your factory. You need to pay attention to how everything is moving in order to figure out which areas need the most attention. If you keep running out of balls, you should upgrade production. If the machines are having trouble crushing all the balls quickly, upgrade their size and speed. You can also upgrade the speed, teeth, teeth size, gear size, and gravity of the gears if you see that they cannot keep up with the small balls. Tapping on a ball will break it down into a smaller ball. You can do this regularly to help your machines keep up with the demands of ball-crushing. If you are short on upgrades, you can use your tapping power to help keep your factory running smoothly. Tapping rapidly with one finger will fill up the bar below your cash collection screen. Once it is full, the crushing machines will gain a massive speed boost. If you continue tapping after the speed boost is activated, it will allow you to sustain the boost by keeping the bar full. If you are a veteran idle game player, you will probably know about the time-skip cheat. This allows you to earn a lot of money without having to wait. To do this, just go into the date and time settings of your device. Set the time to a few hours forward then log back into the game. You will find a hefty amount of offline income waiting for you. Spend all of it on upgrades then rinse and repeat. There is a catch, however. You cannot set the time back to normal or your game will show negative income. You can keep setting the time forward to continue earning money, though. If you want to correct the time on your device, there is a way to do so. Make sure you have at least 10AC then tap on the Prestige button. Prestige will reset all your progress while giving you permanent boosts. Not only will you get the permanent boost in income, you will also be able to set the clock back to the correct time since the game won’t see the ill-gotten income you used to Prestige. Prestige does not just get you off the hook for cheating. It gives you a massive boost in income that makes resetting everything worth it. You will probably notice that the price of things goes up after you Prestige. Don’t worry because the amount of income you earn will nullify the price increase. In fact, it becomes a lot easier to Prestige after the first time because the flow of money is just that much faster. Prestige as often as you can and watch your money grow exponentially. Now that you are excited to Prestige, there is one thing you should remember if you want to be able to rush Prestige levels. Make sure you have all of the previous balls unlocked. It is a prerequisite of Prestige. Even if you have to spend everything you have, buy that next ball. It takes a lot of money to get everything upgraded, but if you are doing the time-skip anyway, it shouldn’t be much of a problem. It is time to break a bunch of balls! 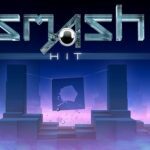 Follow our Ball Smasher cheats, tips and tricks listed above in order to make a whole lot of money! 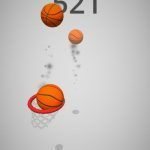 Do you know other tips ore tricks for Ball Smasher? Let us know in the comment section below!